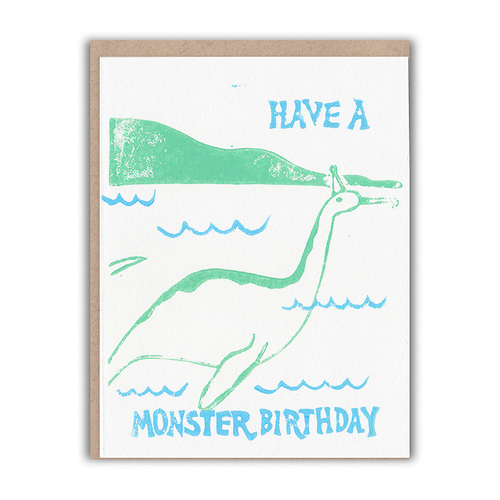 Loch Ness Monster on Birthday greeting card. Block printed by hand on recycled paper. Loch Ness Monster on Birthday greeting card. Block printed by hand on recycled paper. Greeting card is 5.5″ x 4.25″, envelope 5.75″ x 4.375″. Note card interior is blank.